This nature inspired Deer Chandelier features a young whitetail buck leaping through the tall pines around this circular pendant. Suspended from hand crafted branch like chain links that hang from a pine tree covered hub. 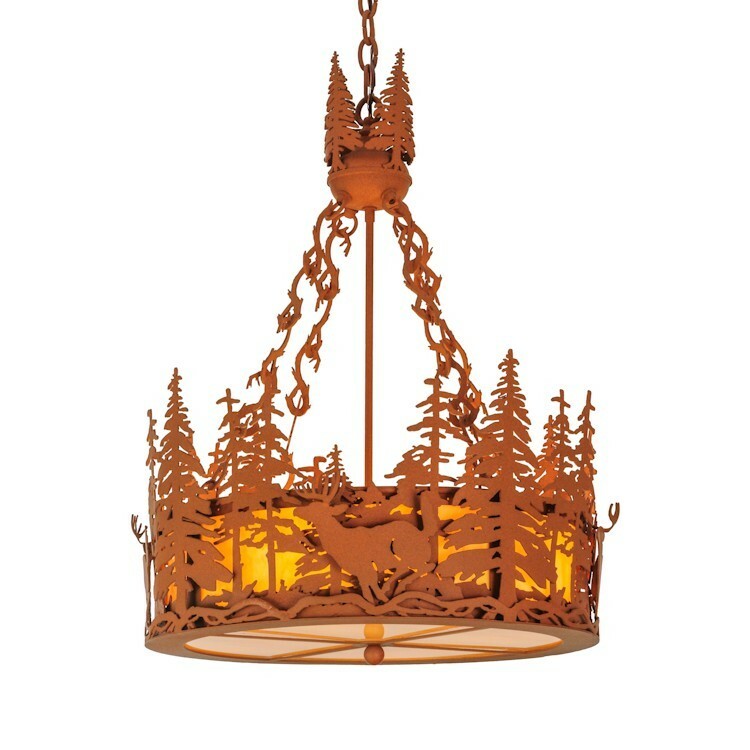 This nature inspired Deer Chandelier features a young whitetail buck leaping through the tall pines around this circular pendant. Suspended from hand crafted branch like chain links that hang from a pine tree covered hub. This rustic wildlife chandelier is finished in Earth and has Beige art glass panels.